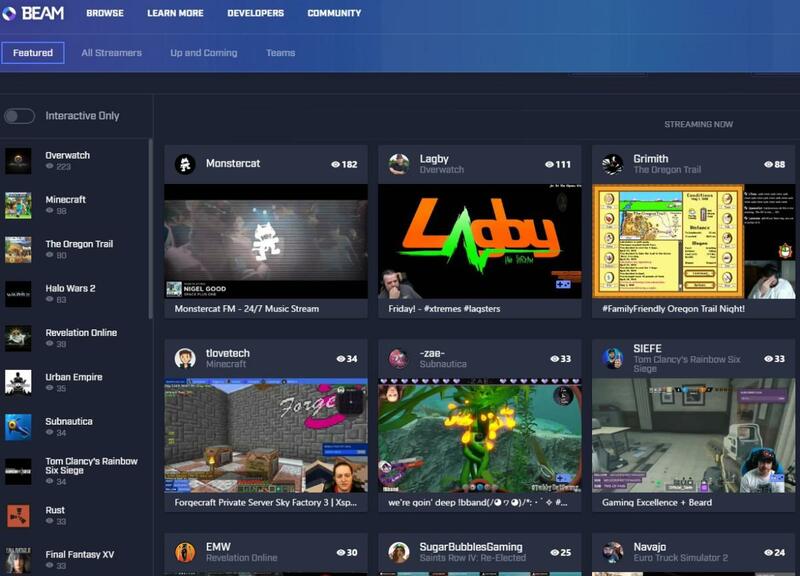 Microsoft’s Twitch competitor, Beam, has now pushed its “Pro” upgrade live to all users, featuring streams with up to 1440p resolution at 60Hz and integration with Xbox Live. In late December, Beam said the company was pushing its Beam.pro upgrade as a beta to selected users. This week, Beam lead Matt Salsamendi tweeted that the service was now live for everyone, though a formal announcement would be coming later. “We’re no longer the scrappy startup we were last year, and with the resources of Microsoft behind us, we’re going back to the basics and evaluating how we can make every aspect of the site more smooth, stable, and epic,” Salsamendi wrote in announcing the upcoming changes. Why this matters: Microsoft doesn’t necessarily need its own game-streaming solution, but Beam keeps Windows and Xbox players inside its own walls, rather than moving on to Amazon or some other third-party service. Here’s what the new Beam update includes: a bitrate increase to a maximum of 10Mbps, including 1440p 60fps streams and “super-high motion” 1080p; a 5X improvement in the site load speed; as well as 60fps rendering performance for videos displayed across the site. Beam also added an upgraded video player, a revamped homepage, and “deep chat” improvements that include a new and improved polling interface. While Beam added Xbox Live support for better user verification, the company also plans to roll that out in conjunction with the upgraded homepage. One of the more interesting additions is the ability to feature dedicated “mature” gaming streams to authenticated users who are 18 or older. The higher bitrate streams mean that Beam is now more directly competing with YouTube and Twitch. Gamers can stream on YouTube at 1440p at 60Hz, with bitrates from 9 Mbps to 18 Mbps, all the way up to 4K at 60Hz—provided they have the computational ability within the PC encoder and the bandwidth to handle it. Twitch, for its part, seems more concerned with limiting bitrates so that streams can be enjoyed on a variety of devices; its guidelines cap bitrates at 3.5Mbps, without specifying a particular resolution.